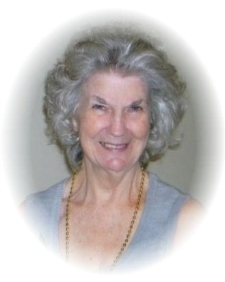 Elizabeth Ann Judd, 80, of Soddy Daisy, lost her battle with Alzheimers on February 13, 2019. She was a longtime member of Sequoyah Church of God. Ann retired from Kmart after thirty seven years of service. She was a loving wife, mother, grandmother and great-grandmother who loved spending time with her family. Among her greatest passions were gardening, cooking and baking; she also loved the beach. Ann was preceded in death by her beloved husband, Frank P. Judd; her father, Ralph G. Eustice; her mother, Lorene Hackney Posey and a granddaughter, PJ Boring. She is survived by her daughters, Kathleen (Jesse) James of Soddy Daisy, Brenda (Len) Johnson of Hixson, Susan (Chris) Mathis of Winter Garden, FL; grandsons, David (Meggan) Judd of Soddy Daisy, Frank (Emily) Clark of Etowah, Dakota and Montana Johnson of Otsego, MI; sisters, Linda (Rex) Laymon, Carolyn Scates, and Darlene Stinnett; brother, William Posey along with six great-grandchildren and numerous nieces and nephews. Visitation is 4:00 P.M. to 8:00 P.M. Thursday and 10:00 A.M. to 2:00 P.M. Friday. Services will be 2:00 P.M. Friday at Williamson & Sons Funeral Home with Pastor Frank Clark and Reverend Larry Lindsey officiating. Interment will follow in Hamilton Memorial Gardens. Her family requests, in lieu of flowers, please make memorial donations in Memory of Ann Judd to the Alzheimer’s Association of Chattanooga, 7625 Hamilton Park Drive, Suite 6, Chattanooga, TN 37421. Her family also wants to offer a special thanks to the staff of Woodland Terrace Care & Rehab and to Hospice of Chattanooga.